Let us help you find your next favorite read in our huge selection of New & Used Books! But that's not all we've got in store. We're a supplier of Gypsy soul Tea co Loose Leaf Tea, and have all the Teaware you need for a perfect cuppa. My name is Jill and I have a couple of boxes of books that I am interested in selling. Would there be someone available in the next couple of weeks that would be able to go through the collection? I have a range from Stephen King to Goosebumps to Margaret Atwood, ect. Mostly random. Also wondering if your store accepts any textbooks? I have a few sociology, english, and psychology ones that I don't use anymore. Wonderful article! We are linking to this great post on our site.Keep up the good writing. Hi I'm looking for a book called, Anastasia by Vladimir Megre. If you have a copy or obtain a copy, please let me know. Thanks Bob. i'm looking for shakespear's counselor and shakespear's trollop by charlaine harris. if you have it, i'll be down at the coast monday 18th and can pick it up. will likely sign up with you then. i've been in the store a handful of times and brought books back to the interior to read - great store. Great place for books ,everyone that has been recommended to me by the owner ,has hit it out of the ballpark great! The best tea ,great gifts for the hard to buy for ,and if you are looking for interesting classes ,this place is for you ! Thank goodness for stand alone stores like this ! 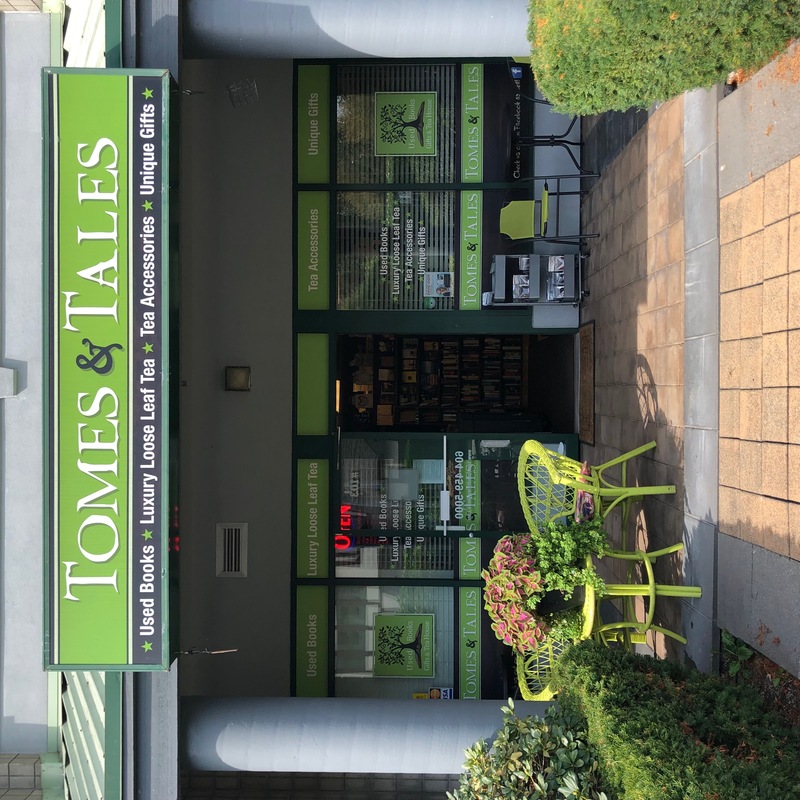 We moved to Maple Ridge about 6 months ago and I've been missing my old neighbourhood used book store back home. So I've doing a tour of the local used book stores here, and finally walked into this one! The energy in this store is lovely. I have enjoyed every single visit I've made. I've finally found my new neighbourhood used book store! Came into your shop Sat around 4:30pm Spoke of a Japanese writer with an excellent thriller. Authors name: Natsuo Kirino. Book:Out. An excellent read of the shocking thriller variety. A fantastic store, not just books but gifts, tea, friends, great conversations with the owner of the store and now the aspect of the metaphysical which adds to the magicall lure of this store. I could lose time in this store and enjoy my almost every week visit. Thank you for blessing Pitt meadows with a great store. i go here often and its my favorite place to shop! Its fantastic to read something on unigue gifts.Well written post everyone send gifts to their love or relatives so its good idea. I really appreciate your blog, this blogs help me to find the gift.Thanks for sharing. Love your energy and helpfulness.